Elegance Wedding Cars Warrington have been providing Wedding Car Hire in the Warrington, Widnes and Runcorn area for over 15 years. Our experience in this business gives us a unique insight into your needs to make your special day that bit better. We understand your special day deserves a very special car. Reliability and an exceptional eye for detail make our Wedding Cars very special and we believe all our Wedding cars are very very special. With over 15 years experience in the Wedding Car Industry, Elegance Wedding Cars Warrington can help guide you through all aspects of booking your Wedding Cars from your very first consultation with us, we will strive to make your Wedding day “Just that extra little bit special”. If you have any special request’s let us know when you book, it will be our pleasure to make your day “A day to remember” for all the right reasons. All the cars you see on our website are owned by ourselves, we do not sub contract to anyone else nor do we let our cars out to other companies. Our wedding car hire Warrington service will provide you with the most elegant and luxurious way to travel to your Wedding destination. Choose from our fine selection of Rolls-Royce, 1930s Dureau Convertible, Classic Daimler DS420 and modern BMW Wedding Cars. Elegance Wedding Cars Warrington cover all area’s of Warrington, Runcorn, Cheshire, Merseyside, Lancashire and the North West. 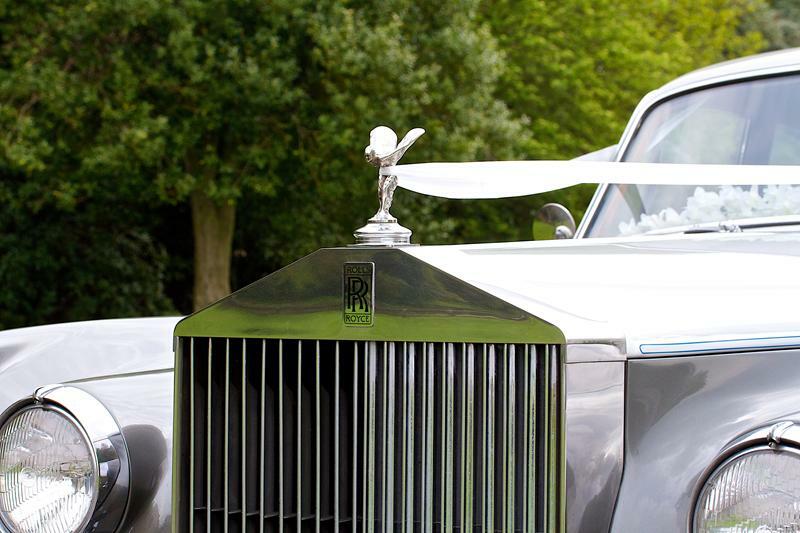 Looking for Wedding Cars Warrington? Wherever you’re getting married in the Warrington or North West area we can help. The ultimate for Wedding Cars Warrington. 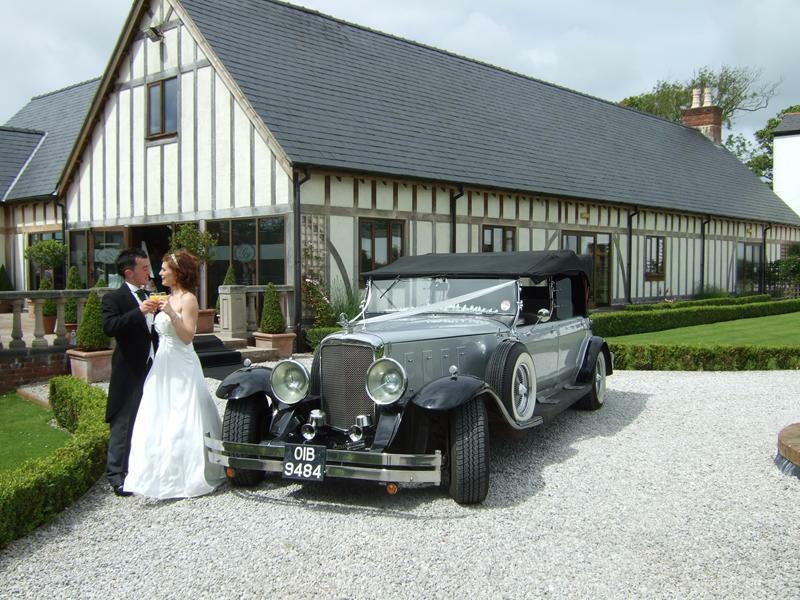 We have a fine selection of Vehicles including a Rolls Royce Silver Cloud, Bentley, Daimler, 1930s Convertible and BMWwedding cars for all area’s across the North West. Conveniently located in Wigan, we cover all of the North West, including Warrington, Halton, Runcorn, St Helens, Manchester, Cheshire, Liverpool and Merseyside. Our fleet of beautiful, classic 1930s, 1950’s and 1960’s Wedding Cars are second to none, as one of the leading wedding car suppliers in the North West, we know how important those small details are. 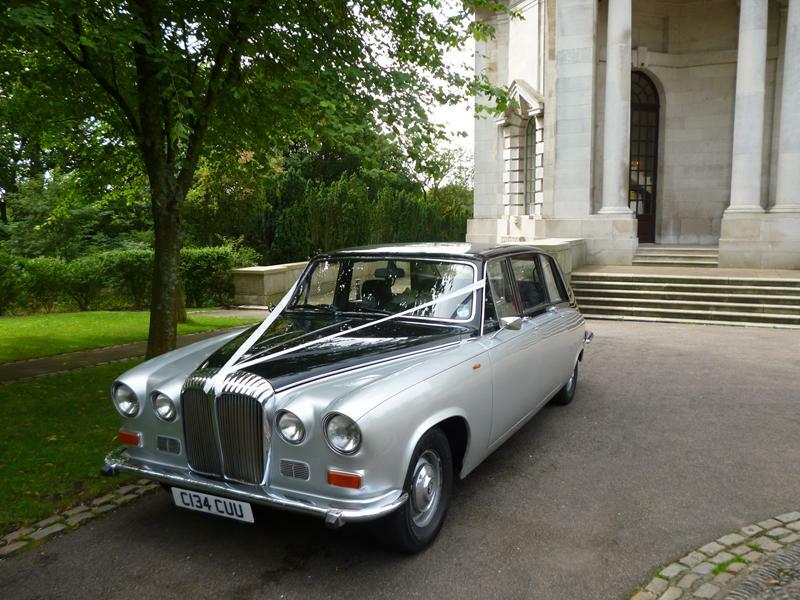 Our classic Wedding car hire service, takes the worry out of this most important part of your Special day, we have now been part of over TWO THOUSAND Weddings. Let us be part of your special day. We Provide a service of promptness, courtesy, distinction and attention to detail. Our uniformed, professional and helpful chauffeurs will go that extra mile to make your Wedding day perfect. Special requests are encouraged, please ask. Our Wedding Cars will only be allocated one Wedding per day so we will not be rushing off to another Wedding or function. When you book with us, the only booking we will accept for your Wedding date will be yours. Giving you a dedicated and personal service at all times is our ultimate goal. This of course allows your photographer time to capture every moment without being rushed. All our Wedding cars will of course be made available for a short time for Photographs at you Reception Venue. Elegance Wedding Cars Warrington look forward to your call.